Government of the Peoples’ Republic of Bangladesh has once again recognized the management member of Abdul Monem Group for the milestone contributions in the industrial development of the country. 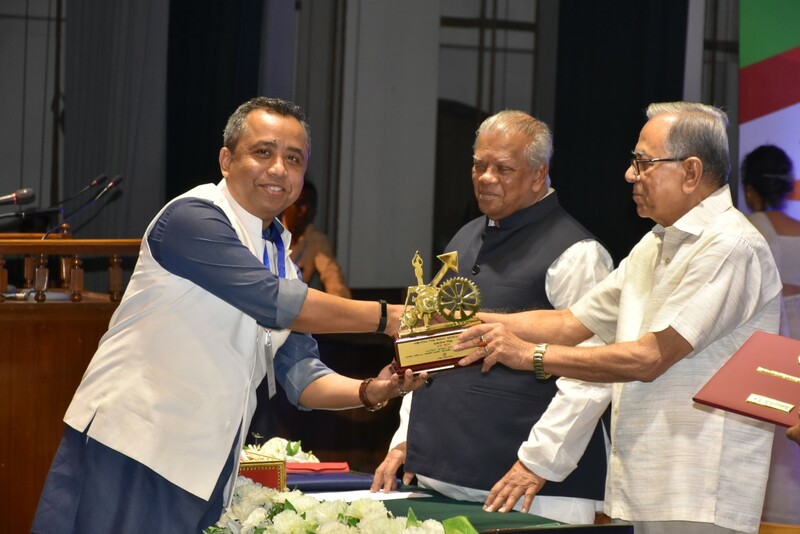 Mr. A.S.M Mohiuddin Monem, one of the Deputy Managing Directors of the group received the accolade from honorable President on 22nd May, 2018. The award ceremony was organized by the Ministry of Industries and Mr. Abdul Hamid, Honorable President of People’s Republic of Bangladesh handed over the award to the Business Leaders. A.S.M. Mohiuddin Monem, Deputy Managing Director of Abdul Monem Ltd and Chairman of ServicEngine BPO, was honored with the award under the high-tech industries category for paving the way for outstanding performance in the IT sector through the consistent performance of SEBPO, the leading BPO firm in Bangladesh and an integral part of Abdul Monem Group. ServicEngine’s decade long success lies with contribution in the national income and creating rewarding employment opportunities for the educated youth of the country in the field of “Hi-Tech.